There’s one thing that everyone will always want to be; and that’s to stay young. Unfortunately, it’s becoming harder than ever to stop the rigors of life adding years to our face. This is where Collagen Capsules enter the picture and as the name suggests, they are primed with the task of boosting our collagen levels to ultimately improve our skin. Here’s what we thought when we reviewed them. Collagen Capsules are effectively collagen in a capsule. They will boost your collagen levels in your body to ultimately make your skin have fewer wrinkles and be much firmer. It means that you appear much younger. As the product name suggests, this is a capsule-based supplement. Unlike most youth-defying procedures, you don’t need to go under the knife here. Simply take three capsules a day and watch the years roll back. It’s not just your skin that is going to benefit here, with the blend of ingredients also boosting your joint, bone, hair and nail health. Collagen Capsules are formed only out of natural ingredients and this means that side effects are not going to occur. Additionally, the ingredients have been carefully selected and are suitable for anyone – it doesn’t matter if you have a dairy, gluten or lactose intolerance, you’ll still be fine to use this supplement. The brand behind Collagen Capsules are Proto-Col. This is a company who know supplements inside-out, having been in the market since 2003. 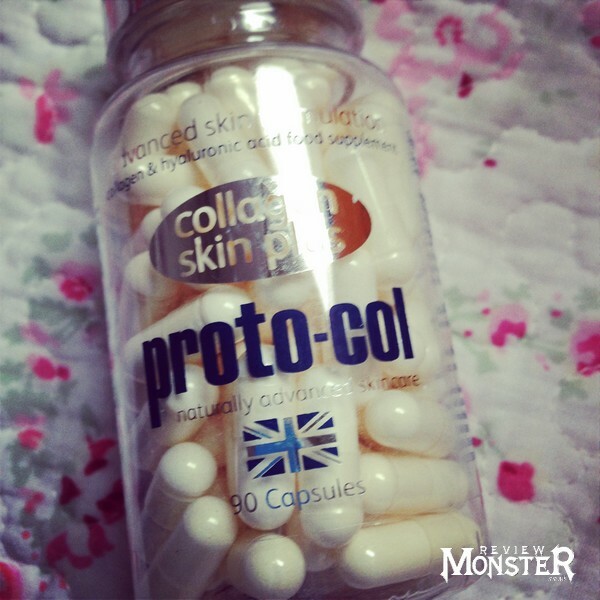 Like most products that Proto-Col stock, Collagen Capsules can only be bought online. The dosage instructions can be quite complicated. For example, for optimum results you should consume the capsules before bedtime, whilst also ensuring that you have them a minimum of 90 minutes after a meal. Collagen Capsules – How does it work? Collagen Capsules are comprised of very few ingredients, with the main one being Pure Collagen Hydrolysate. This ingredient is especially important, as it is effectively pre-digested so it will enter your body at an exceptionally fast rate. As we start to age, our collagen levels start to fall dramatically. For example, the typical 45-year-old will have experienced a 30% drop in collagen. This is the reason we start to experience the lines, wrinkles and general saggy skin – as this is the component that is responsible for supplying the skin with the building-blocks that it needs to stay young. Will Collagen Capsules work for you? Proto-Col have gained a phenomenal amount of attention over recent times, with some of their products being covered and applauded in the biggest publications around. When you also consider their long history, it’s further evidence that this could be another product that takes the industry by storm. The science behind Collagen Capsules also bodes well though. Extensive research has been conducted into collagen and the beauty industry has known for years that a decreased amount of it is the primary cause behind aging skin. Therefore, considering the fact that the core ingredient of this product happens to be a pre-digested form of collagen, we believe that this is a product that will gradually make your face look much younger. Do Collagen Capsules have side effects? As we’ve mentioned previously, the natural make-up of this product means that you will not experience side effects. It currently costs $46.41 for a one month supply of Collagen Capsules. Again, when compared to age-boosting surgery, it’s a low-price alternative. The best price is available here. Any product that Proto-Col back at the moment appears to be flying off the shelves, and we foresee the same situation occurring with Collagen Capsules. They rely on true science and considering all of the “side benefits” that can be experienced, we really see this as a no-lose product. If you have any questions or concerns, please refer to the official Collagen Capsules by Proto-col website, or contact the merchant directly. 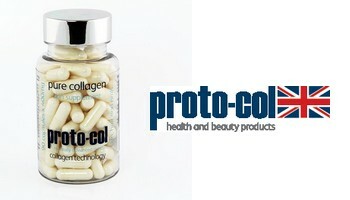 Only comment below if you have used Collagen Capsules by Proto-col before and you would like to share your experience. Don't forget to use the star rating system.